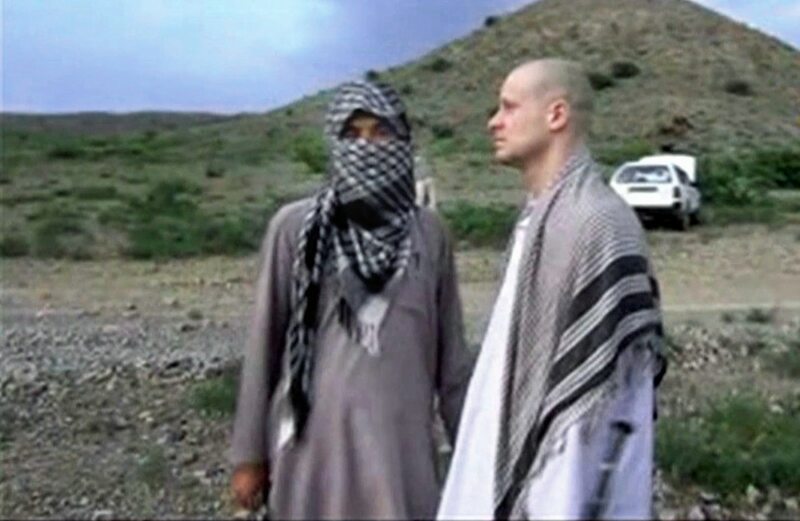 Bergdahl was captured after walking off base on June 30, 2009, while deployed to Paktika province with 4th Brigade Combat Team, 25th Infantry Division. He pleaded guilty in October to desertion and misbehavior before the enemy. On Nov. 3, a military judge ruled Bergdahl would not serve any jail time but be dishonorably discharged from the Army and reduced in rank to private. Army Sgt. Bowe Bergdahl told a military judge he’s pleading guilty to desertion and misbehavior before the enemy. From the moment he was captured, Bergdahl became eligible for extra pays available to captive troops. In total, along with his basic and deployment pay, he could be entitled to more than $300,000. But the Army has not calculated that pay yet, a G-1 spokesman told Army Times, because the legal proceedings since his homecoming in 2014 have put that in limbo. Those policies and regulations require the Army to wait for Gen. Robert Abrams, the commander of Army Forces Command and the convening authority in this case, to approve the sentence that was handed down to Bergdahl, an Army official, who was not authorized to speak on the record, told Army Times. The judge also reduced Bergdahl's rank to private and said he must forfeit pay equal to $1,000 per month for 10 months. If Abrams accepts Bergdahl’s sentence, the official said, the service can begin the long process of determining how much money Bergdahl earned in the past eight or so years. “My understanding is there has to be an administrative determination of his duty status at each point, from the time he was captured until now,” the official said. The Defense Department marked Bergdahl as “Duty Status-Whereabouts Unknown” on June 30, 2009, Military.com reported in 2014. Three days later, he was switched to “Missing-Captured,” when a Taliban propaganda video showed him alive and detained. The Army will use that timeline to determine his pay. Ordinarily, the official said, a soldier who has been marked missing or captured would be entitled to back pay upon return. But Bergdahl, who has been assigned to a desk job since his return and drawing commensurate pay, may not be considered a prisoner of war after pleading guilty to desertion. “In order to figure out what he’s owed, you’re basically going to have to start from that point of captivity,” the official said. In the end, the official added, Bergdahl may be entitled to his accumulated basic pay while in captivity but not the Basic Allowance for Housing, Basic Allowance for Subsistence and per diem given to prisoners. Or, he added, it may turn out that Bergdahl “owes us,” if it’s determined he should not be paid for his time in captivity, or that he has been overpaid since his return. Reached for comment, Eugene Fidell, Bergdahl’s attorney, said the defense team’s focus has turned to preparing the case for an appeal. He declined to elaborate. “We are currently identifying the issues we will be pursuing,” Fidell said. An appeal would put off the Army’s pay and benefits determination, the official said. Fidell declined to comment on the back pay situation, or on a report by USA Today that he believed Bergdahl should receive the Prisoner of War Medal.